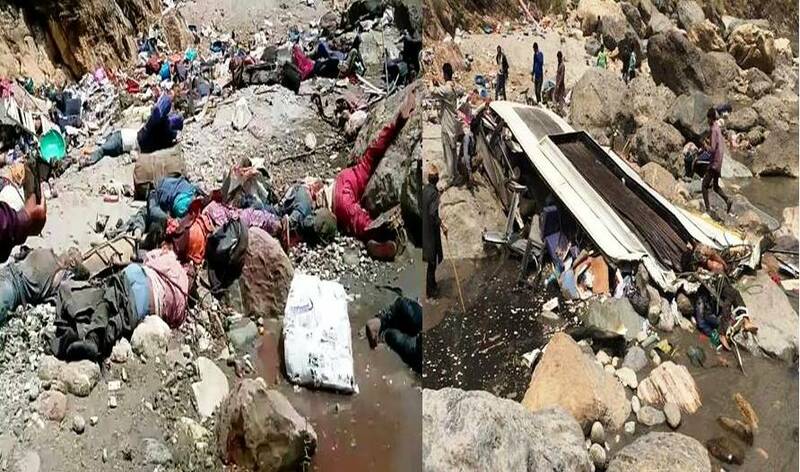 SHIMLA|| In a major accident, 44 people were killed when a private bus rolled off the road and fell into Tons river in remote Nerwa area of Shimla district along the border of Sirmaur district in Himachal Pradesh. 46 people were travelling in the ill fated bus and all of them except two were feared dead. 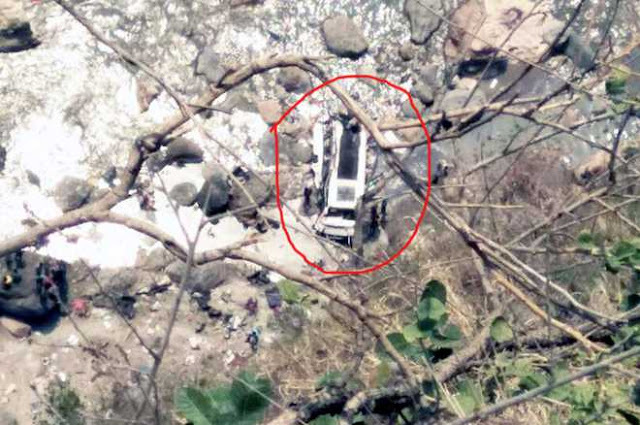 Uttarakhand private bus number UK-16-PA0045 fell in a 800 meter deep gorge into Tons river. The accident occurred on Wednesday around 11AM. All passengers except bus conductor who jumped off the bus to save his life and one other person were said to be the only survivors of the tragedy. 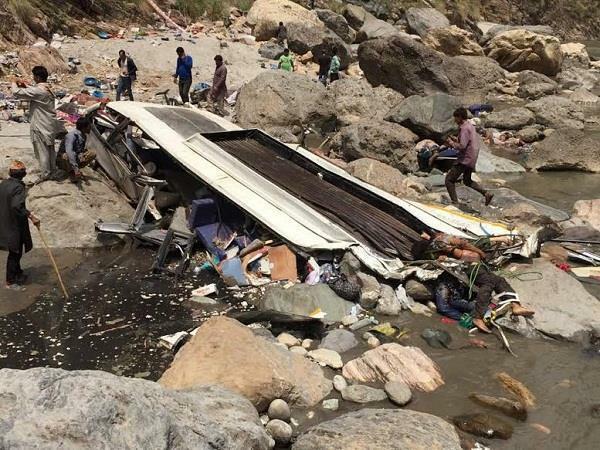 The Deputy Commissioner Shimla, Rohan Chand Thakur, “the passengers were on their way from Vikasnagar to Tyuni both places in Uttarakhand and the accident took place on the Uttarakhand-Himachal border in Himachal territory,” as quoted by PTI. Sources said the accident occurred in the morning around 11 AM while the private bus was on its way to Tiyuni from Vikasnagar in Uttrakhand. Most of the passengers belonged to Uttrakhand. Shimla, SP, D W Negi said that private bus met with accident in the jurisdiction of Nerwa Police Station of Shimla district located close to the border of Sirmaur district. He said 56 passengers were travelling in the bus and casualties could increase.